XP-8000 is the new generation PAC of ICP DAS. 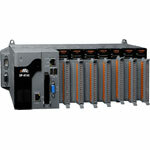 It equips an AMD LX 800 CPU (500MHz) running a Windows Embedded Standard 2009/Windows Embedded CE 6.0 operating system including our KingHMI Software, variant connectivity (VGA, USB, Ethernet, RS-232/RS-485) and 7 slots for high performance parallel I/O modules (high profile I-8K series) and serial-type I/O modules (high profile I-87K I/O modules). This PAC also includes our KingHMI software. KingHMI is designed for embedded devices to improve performance. It is designed for touch screen systems and displays. Development is fast and easy because many functions are available. The graphics and development environment are user-friendly and easy to use. 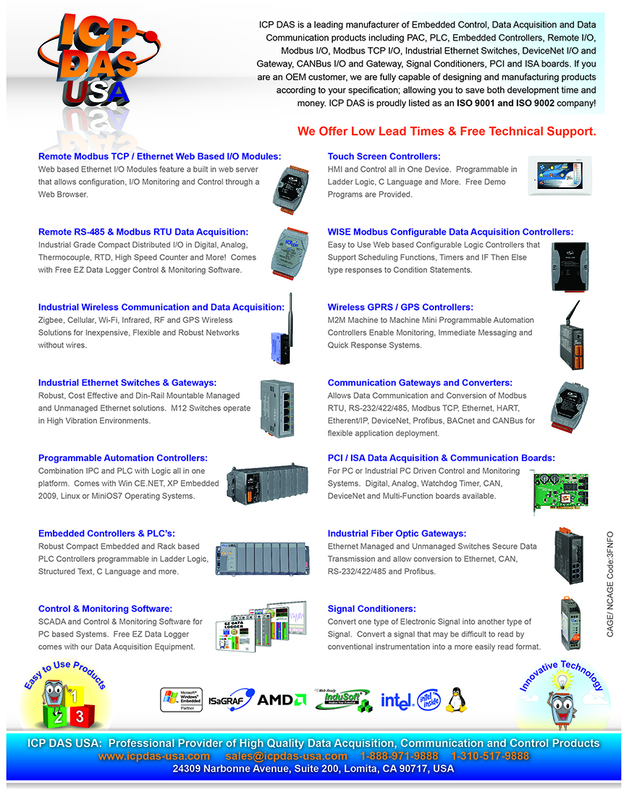 KingHMI offers real time data monitoring and control. 2. Visual interface, true color display graphics, symbol library and animation link. 3. Support the distributed preservation of real-time data and historical data.